Looking for a place to getaway with your family or your friends? 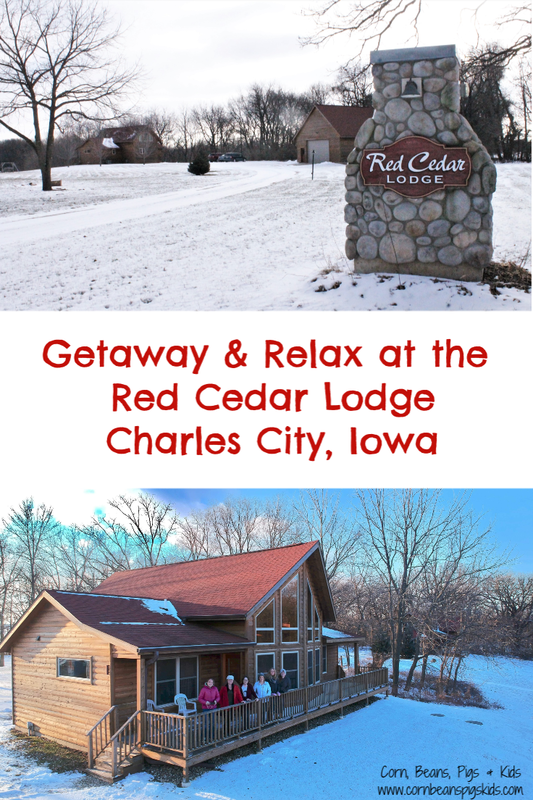 Then look no further than the Red Cedar Lodge on the outside of Charles City, Iowa for a relaxing and peaceful glamping experience, open all year long. 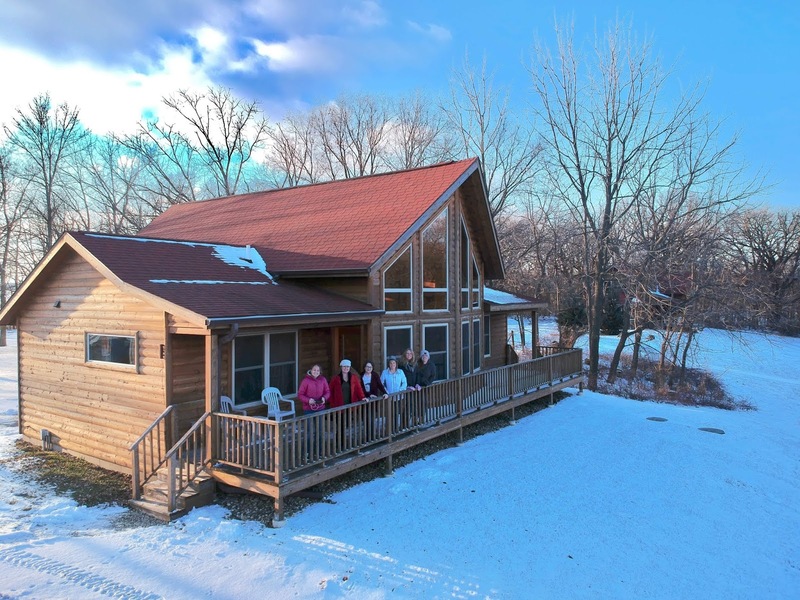 From first driving into the Red Cedar Lodge to head to my glamping getaway at the Moonlight Bend Cabin (pictured above), one of three beautiful log-sided vacation cabin rentals available on the property, I was immediately greeted with hospitality from owners Tom & Lorraine Winterink. Tom and Lorraine built these cabins where Tom use to play and explore the outdoors as a child, situated along the Cedar River. 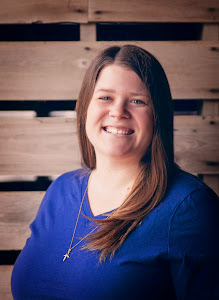 I was excited to not only meet Tom and Lorraine, but also Katy of Flint & Co., Kylie of Between England & Iowa, Theresa of The Local Tourist, Michelle of Simplify, Live, Love and Mary of Farm Girl Cook'n for a Girlfriends Winter Glamping Getaway that all stemmed from a Twitter conversation. Tom and Lorraine arranged a fun and relaxing itinerary for us to explore some of the local attractions, as well as enjoy the amenities of the cabins. Our first local stop was at the Carrie Chapman Catt Girlhood Home. Carrie Chapman Catt was a leader in the woman's suffrage movement and founded the League of Women Voters upon ratification of the 19th Amendment to the US Constitution. Cheryl Erb, President of the National 19th Amendment Society, gave us an inspiring tour of the welcome center and girlhood home. Inside the home there are display panels that not only share Carrie's story, but gives you a timeline of national and world events. I can't wait to bring my kids here later this year as they celebrate the 100th Anniversary of the ratification of the 19th Amendment. 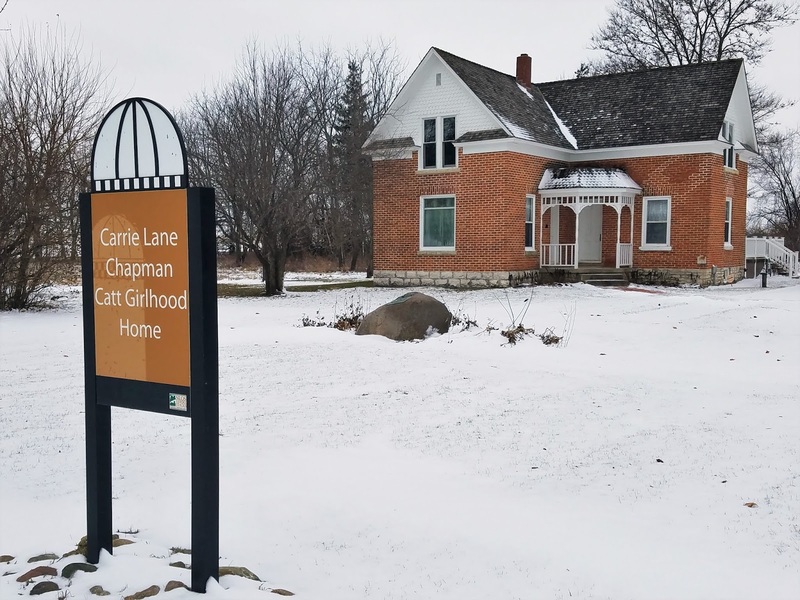 The Carrie Chapman Catt Girlhood Home is open Memorial Day to Labor Day, seven days a week and admission is free. Next our group headed into Charles City for some dinner and shopping. 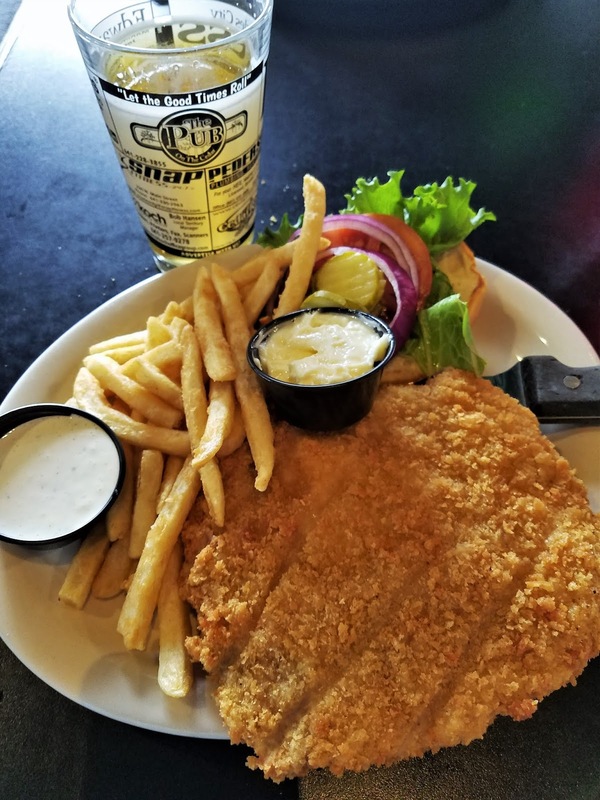 Charles City has several great restaurants. Our group enjoyed pizza from the Cedar River Pizza Co. and sandwiches from the Pub on the Cedar during our stay. I think my husband and I will have to come back to check out the new micro-brewery, Saint Charles Brewing Co. for a date night sometime soon! We also had fun shopping at stores such as The Rustic Corner, Otto's Oasis and Darbe & Co. Boutique. 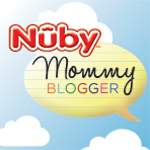 Check out their engraving machine for personalized gifts! 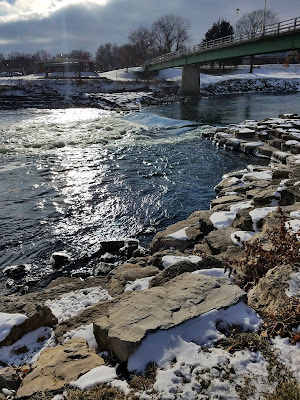 The most surprising and unique stop we made in town was at the Charles City Public Library. Inside the library is the Mooney Collection. Arthur Mooney grew up in Charles City and loved art. Upon his death, he donated his art collection to the library which includes original prints from well known artists including Rembrandt, Guaguin, Picasso and Grant Wood. 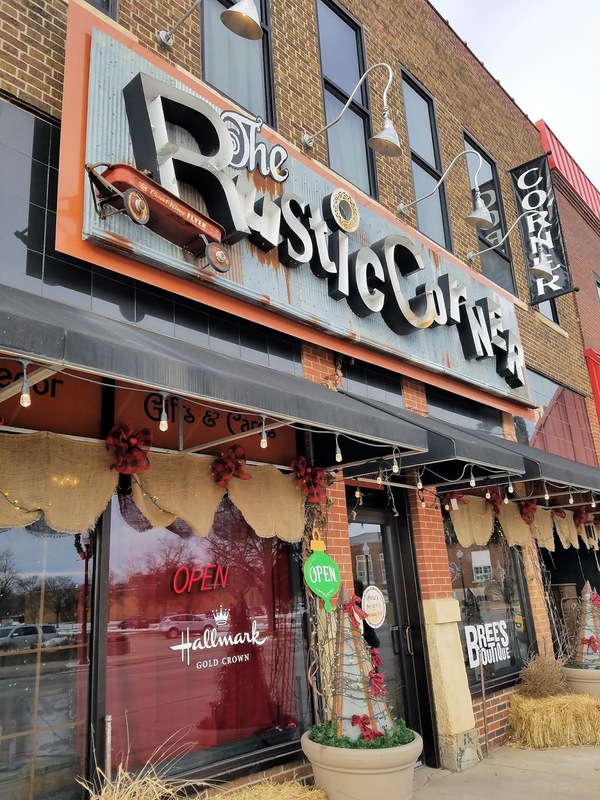 The collection is quite impressive and definitely a hidden gem of Charles City and North Iowa. The gallery is on permanent display and is free for public viewing during library hours. 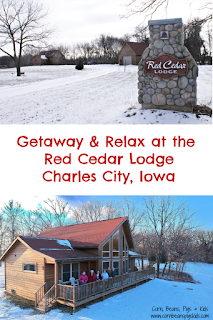 After exploring Charles City, it was time to unwind and have fun at the cozy Red Cedar Lodge. I loved how each cabin sleeps 8-10 people between two bedrooms and a loft with bunk beds, has a furnished kitchen and a gas fireplace (which was especially wonderful to enjoy during our Winter Getaway). There are also outside fire pits, an outside fireplace and an outdoor hot tub. I loved how warm and inviting the property is. You can tell that they take great care of each cabin and pay attention to detail so you can enjoy your time in and outside of your cabin. 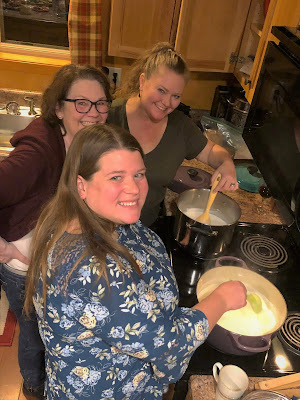 Mary, Theresa and I making homemade ricotta cheese! On our last night of our Girlfriends Winter Glamping Getaway, we enjoyed taking a food class from Mary of Farm Girl Cook'n. We made this amazing beef stew, accompanied by crunchy, yet soft and full of air pockets for butter to soak in no-knead artisan bread (I'm dreaming of this duo now!). We also learned how to make homemade ricotta cheese, homemade Kahlua and homemade Irish Cream. 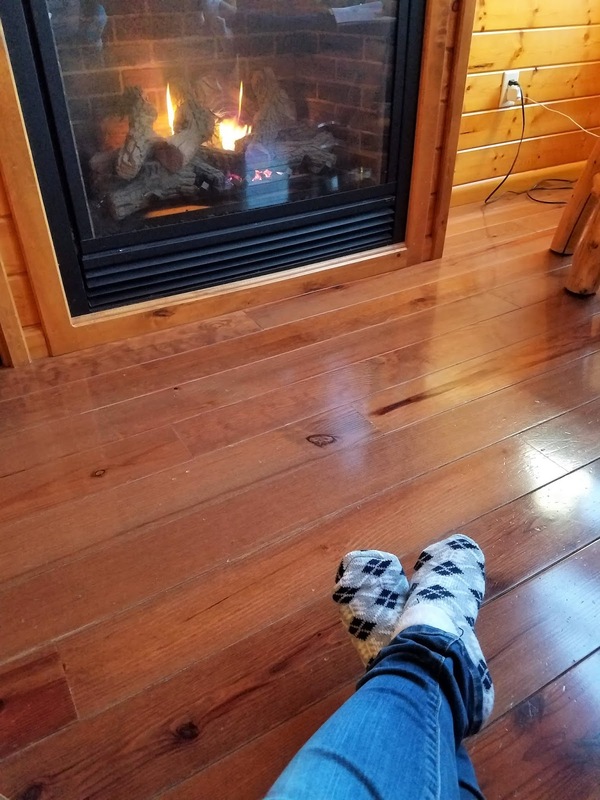 Getawaying at the Red Cedar Lodge was exactly what I needed and it was great to see old friends and make new friends during my stay. Who would you like to escape to the Red Cedar Lodge with? What a fabulous getaway. Everything looks so beautiful, peaceful and delicious. Now I want to go glamping! Let's go! I would love to plan another stay! My kind of getaway! Sounds like so much fun! It was exactly what I needed. Such a fun time and I was able to relax and recharge. 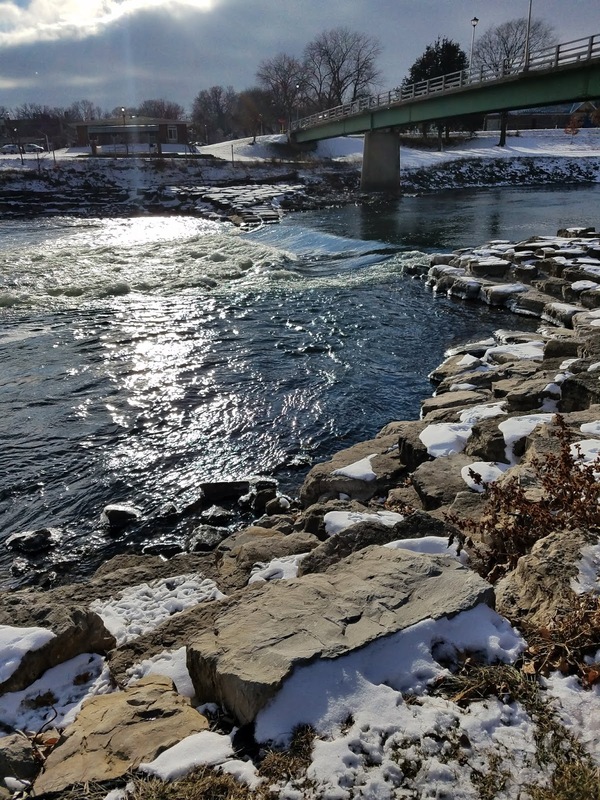 I've had a lot of fun reading about the trip and Charles City. I need to find an Iowan style pork tenderloin up here. This place looks so cute for a weekend getaway and I love the idea of a cooking lesson. Thanks for sharing! The cooking lesson was so much fun. I love to cook and learning some new techniques from Mary was great! Also, making the homemade alcohols this winter has been a lot of fun for family and friend gatherings. This makes me want to take a glamping getaway today! Looks like so much fun!